Where are chefs finding inspiration for their food? What cooking trends and technologies have been inspiring them recently? How far have they come in their quest for sustainability? Our monthly Winnow Chef's Table series will bring you interviews with chefs from all over the world, sharing some insight into their culinary origins and philosophies. In our 8th edition of the blog series Chef's Table, Chris Arkadieff, Head Chef at Restaurant Associates shares his inspiration to become a chef and much more. Originally from Australia, Chef Chris Arkadieff has been working in professional kitchens for over 20 years, and is currently based at one of the UK’s most prestigious research institutions, Wellcome Trust. His previous assignments also include the Hayman Island Resort in Australia and the Gordon Ramsay Group in Europe and Asia. How did you arrive at Restaurant Associates? I found out about the Restaurant Associates through a supplier. The attraction to my current role was definitely the opportunity to work at the Wellcome Trust, developing the organisation’s sustainability initiatives. I grew up on my parents’ honey farm in Australia. The privilege of working with good, fresh produce has always been an inspiration for me to become a chef. Also, cooking gave me the creative outlet to work and be passionate about the environment, which is something of great importance in my life. I started my chef qualification in 1996 in Australia on the exclusive Hayman Island Resort. It is a luxurious 5 star hotel with 5 restaurants, a bakery, a butchers, and even a chocolate room. I stayed for 3 years, and since then I have developed my education in various locations across Italy, the United States, and Hong Kong. What was it like when you first started using Winnow? 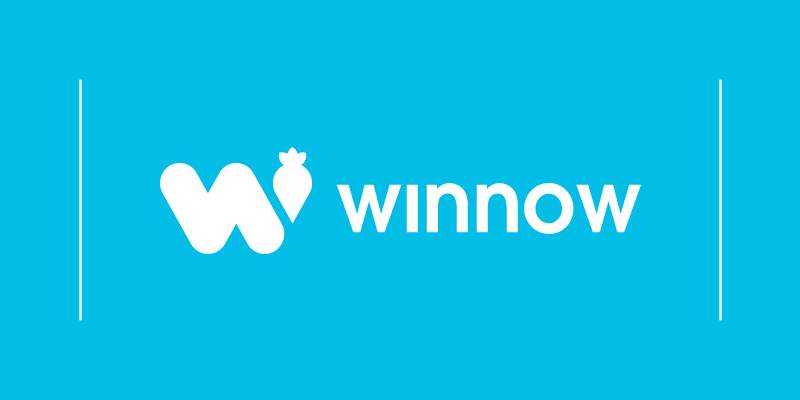 I started using the Winnow system when I joined Restaurant Associates, less than 2 years ago. When I first learned how to use the system I thought the process was very straightforward, and not timing-consuming. Speed is important in busy kitchens. As the process for recording is simplified, the chefs were easily able to navigate the touch pad. Our goal to reduce food waste in by half also made everything easier. The team has been very engaged from the start to decrease the waste produced and the amount of overproduced food, which was our biggest contributor to food waste. We have created awareness with our clients on the consequences of over ordering in internal catering offers. This has been quite beneficial because it has allowed us to rework particular food offers during the week. We have also developed a greater awareness with the chef’s around what is food waste, trimmings and what we can utilise that was once thrown out. People want more than a story, they want facts and figures. A system like Winnow backs up the initiatives and gives the client a big picture of the food cycle. I like to go out and eat at restaurants, markets and explore new places and areas within London. Traveling is very important as well. Social media is getting better all the time and it helps to spark creativity from seeing other chefs’ work. How do you see your kitchen developing towards a more sustainable operation in the future? In many different ways. Firstly, I see my team in the kitchen and front of house getting more and more educated about sustainability issues. Also, I see my team managing the client relationship to develop more sustainable food offerings to prevent over production and wastage at events. I am looking for new ways to receive our goods and reduce packaging as well. My piece of advice to other chefs is to keep on training the team to create an awareness of what foods can be used, along with menu engineering of the menus to create a waste free offer. Dan Barber with the wastED initiative that took place in March in London. He created an awareness amongst chefs to think about the impact that cooking has on the environment. Douglas McMaster from Silo, in Brighton, is another chef that I admire. He has taken sustainability and sourcing to such a high level that we can all learn from. What’s your most recent fascination and why (i.e. an ingredient, technique)? I’ve been fascinated with pickling of vegetables. Pickling is a brilliant way to preserve food. I love pickling stems and leaves on vegetables that most probably would have been thrown away. Best restaurant you’ve ever been to? The MG Garage in Sydney, sadly it is no longer with us. The stuffed pig’s trotter from MG Garage was mind blowing. London or New York are great cities to eat out, especially for the diversity in cuisine. But I am dying to go to Japan to eat out!